This Tennessee band is rumored to be false, simply someone to fake a 60's band. However, I've read people online who have said they bought their music at the time and saw concerts of them. So who knows? Yet when it comes down to it, The Feminine Complex's music is just good. I've been listening to this for ten years now. My favorite song is Are you lonesome like me? I find it dreamy. There are a number of uptempo song that are good like I won't Run and Run that through your mind. It's a girl group band and I have a fondness for that genre. 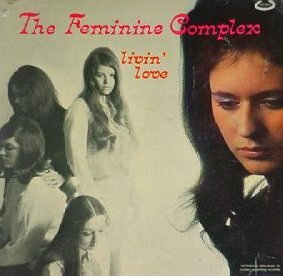 If you like that genre you should give The Feminine Complex a try.